FGI demonstrated in November 2011 the full processing chain from hardware electronics to geometrically correct virtual 3D model in Tapiola region usable in 3D game engine in a smart phone. 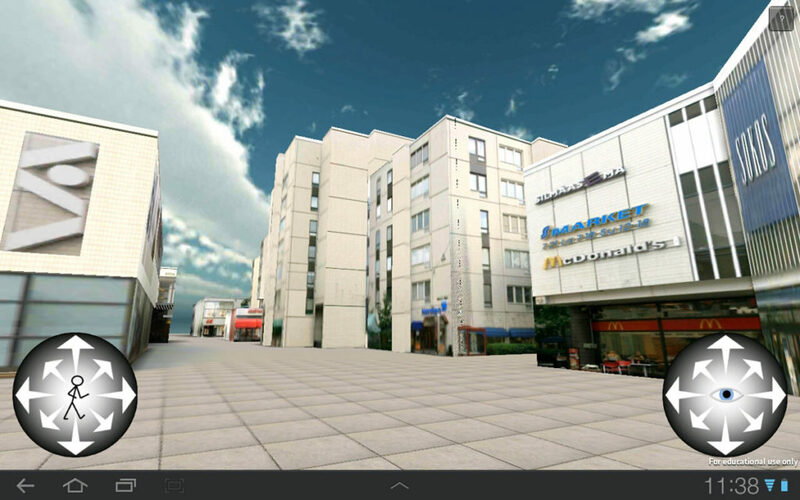 The demo is downloadable from Google Play store (3D Tapiola). The main processes were originally from Zhu et al. (2011). It presents a full procedure of the generalization of photorealistic 3D model from MLS data. The test site is located in the Tapiola area, Espoo, Finland. It is an area of commercial buildings, including shopping centers, banks, government agencies, bookstores, and high-rise residential buildings, with the tallest building being 45 m in height. The data were collected by the Finnish Geodetic Institute (FGI) -developed ROAMER system. The 3D models were constructed from collected data by two steps: geometry modelling and texture mapping. The resulting models are applied to a smart phone for personal navigation. Read more on the press release (in Finnish).